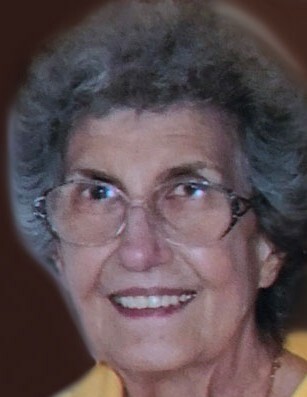 STRUTHERS - Prayers will be held Tuesday at 11:45 a.m. at the Higgins-Reardon Funeral Homes, Poland Chapel, followed by a Mass of Christian Burial at 12:30 p.m. at Christ Our Savior, St. Nicholas Church for Frances L. Vecchione, 87, who passed away peacefully Saturday morning at her home. Frances was born March 15, 1931, in Youngstown, a daughter of the late Anthony and Pasqua (Bagnasco) Geraci. Frances was a 1950 graduate of South High School, where she was a member of their acappella choir. She was a member of Christ Our Savior, St. Nicholas Church, where she took great pride in her involvement in their choir and church activities. Frances was employed as a cashier with Century Foods and also worked in the bakery at Cochran Sparkle before retiring. She enjoyed going to BINGO and singing. She loved entertaining and cooking for family gatherings and Thanksgiving. Her greatest love was for her family, especially her grandchildren. Frances leaves the love of her life, her husband of 66 years, Henry G. “Scub” Vecchione, whom she married Sept. 6, 1952, and who has been by her side ever since; two daughters, Celeste M. Vecchione of Boardman and Anita L. (Patrick) Jarvis; three grandchildren, Kristina L. Vecchione (Erin), John H. Jarvis, and Joseph P. Jarvis, all of Boardman; and numerous nieces and nephews. Frances was also preceded in death by her sisters, Patricia LaGrasta and Rose Bloise; and three brothers, Joseph, Anthony and Samuel Geraci. Family and friends may call Monday from 4 to 7 p.m. at the funeral home. Material tributes may take the form of donations to Christ our Savior, St. Nicholas Church, 764 Fifth St., Struthers, OH 44471; or the Alzheimer’s Association & Referral Network, 4214 Market St., Boardman, OH 44512. The Vecchione family would like to give a special thanks to Joanne Dobson and Tina Mauerman for their exceptional care and love they gave to Frances over the years.